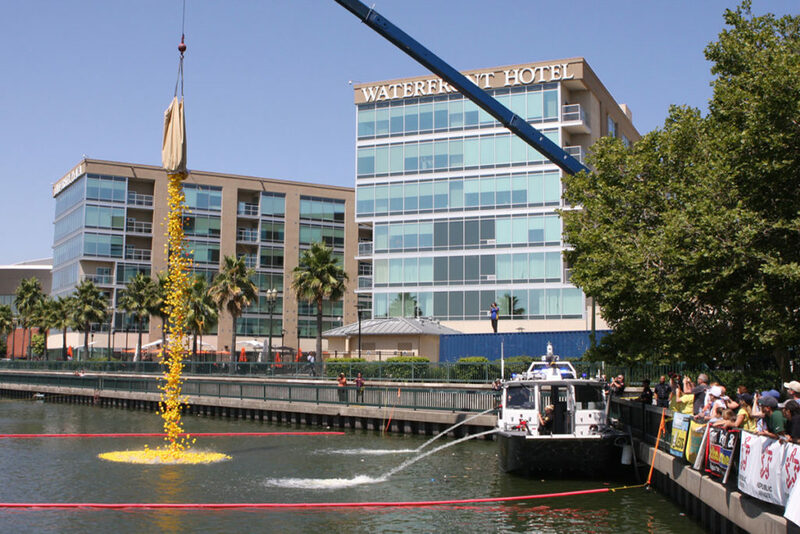 May 11th, 2019 duck drop at 2:00. Rain or Shine! Announcing the 6th Annual Public Safety Day and Ducky Derby hosted by the Child Abuse Prevention Council and Stockton Police Department! The event will be held on Saturday May 11th at Weber Point in Downtown Stockton! 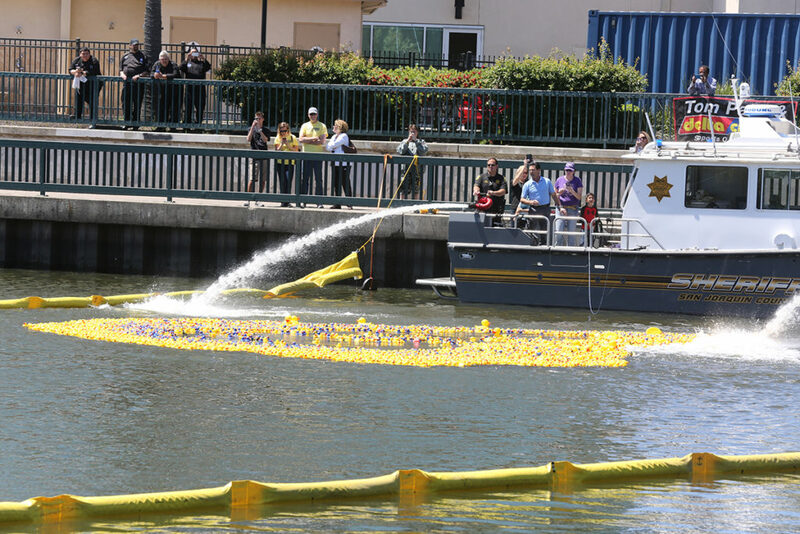 Fun begins at 11:00 am, duck race starts at 2:00 pm. 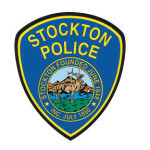 This year we are again teaming up with the Stockton Police Department so come early, or stay late for a whole day of family fun. Rain or shine, bring a blanket and your picnic lunch, or grab a bite at the food trucks. Float a duck and help strengthen CAPC families! 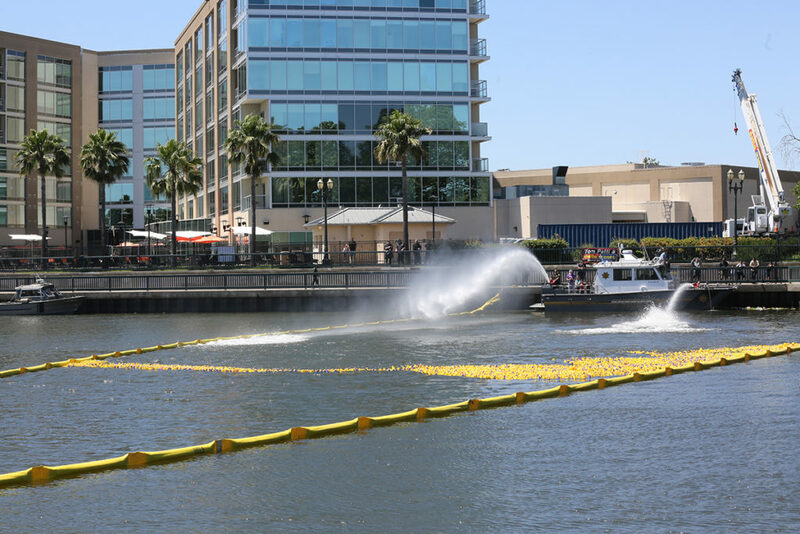 The CAPC Ducky Derby Race is a rubber duck free-for-all! 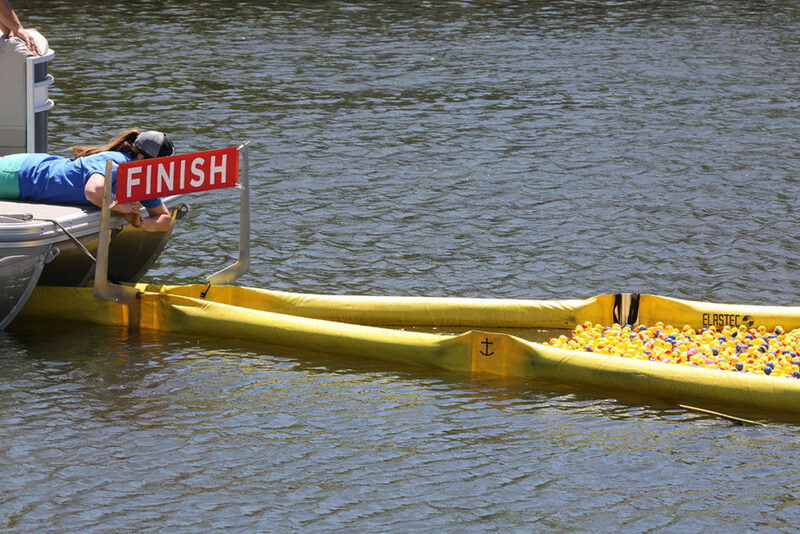 Thousands of individually numbered rubber ducks will bob through the watercourse in a race to the finish. If the rubber ducky with your number on it is among one of the first ten ducks to the finish line, you will win one of ten sensational prizes! Join us for a free morning of fun at Weber Point in downtown Stockton! All proceeds from the race benefit the CAPC of San Joaquin County. Stay tuned and make sure to like our Facebook page for more information. Ducky Derby will be held on Saturday May 11th. Duck Drop at 2:00 pm. FREE Public Safety Day from 11:00 am – 3:00 pm.